Though the festival features young wine, most wineries sell some of their older vintages. We bounced around the stations for two days and got happy on Domaine Viticole Viticole Nitchev’s Mavrud (2015), Trastena’s Merlot andRaspberry Wine Blend (2015), and Logoda’s Melnik 55 (2016). There are also several restaurants and specialty food shops represented at the festival. 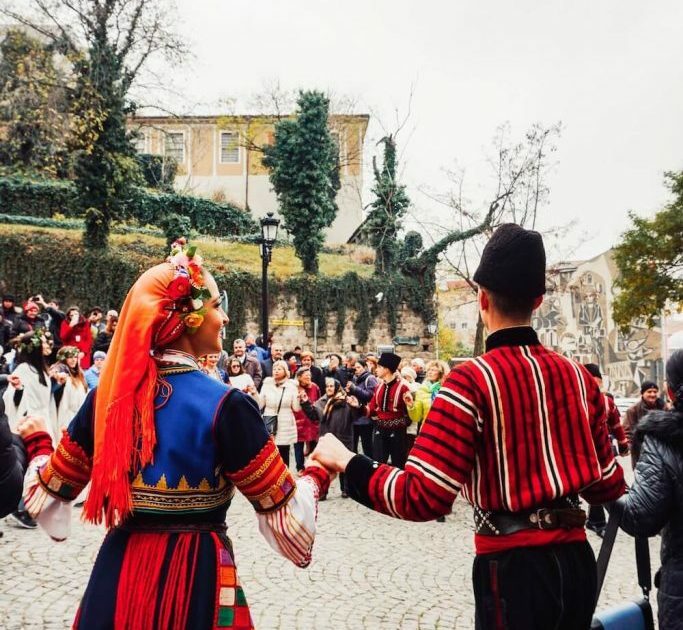 Trifon’s Day(February 14th) – Each year on February 14th, Bulgarians celebrate the patron of winegrowers and winemakers, St. Trifon Zarezan. Throughout the country, there are unique wine festivities and traditions in villages, wineries, and vineyards. Brestovitsa, a wine village close to Plovdiv, celebrates the holiday with a procession from the town to the vineyards. All the town’s wine cellars are open for wine tasting and selling.